After two years of research Mistra Future Fashion is honoured to present, in collaboration with Centre for Circular Design at University of the Arts London and Filippa K, an exhibition pushing the limits of ‘fast’ and ‘slow’ fashion. Started in 2017, the industry-embedded project Circular Design Speeds takes a unique systemic approach, showcasing what could be accomplished using existing value chains as well as what the future of sustainable fashion holds. 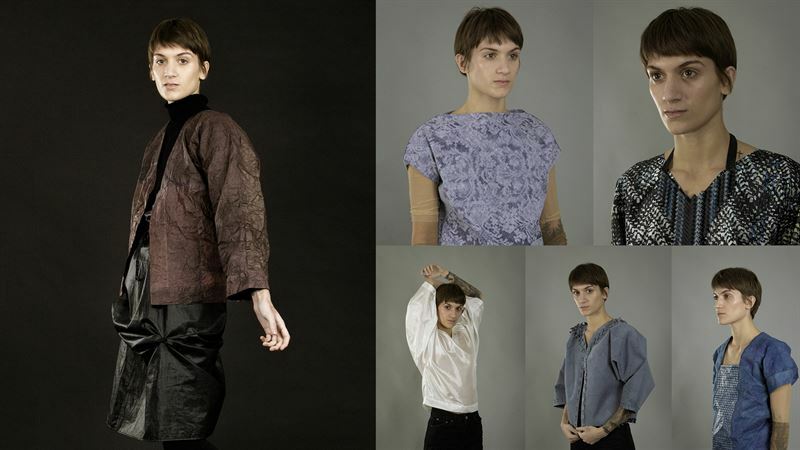 Ground-breaking textile research from University of the Arts London is questioning normative use and design of garments in creating prototypes to be worn across a spectrum of 24 hours to 50 years. By implementing research into existing value chains, Filippa K have produced a coat that is 100% recycled and recyclable, as well as a concept dress that is 100% bio-based and biodegradable. The research results and garments will be presented at the launch event at the University of the Arts London, on November 23rd and open to public on the 24th and 25th of November. On Friday November 23rd the exhibition Disrupting Patterns: Designing for Circular Speeds opens up at University of the Arts London. The exhibition is the results of a two-year research project called Circular Design Speeds aiming at pushing the limits of ‘fast’ and ‘slow’ fashion by testing new concepts for sustainable design in an industry setting. On display are exploratory prototypes, as well as commercial garments produced by industry partner Filippa K using existing value chains. In addition, research results on innovative materials, consumer acceptance, composting studies and Life Cycle Assessments are presented. The aim of this project is to implement research results in a real fashion industry context, focusing on speed of use and maximising fabric value retention in products. On the opposite side of the spectrum the Fast-Forward concept, developed by Prof Kay Politowicz and Dr Kate Goldsworthy, explores alternative modes of production and use for a sustainable ‘fast-fashion’ application. Advantages with regards to climate impact are enabled through lighter material choices, nonwoven fabric production, no launder, clear routes to recovery and redistributed manufacturing systems. A sliding scale of ‘speed’ from ultra-fast forward through to a more widely accepted length of use, with adaptations to production processes and end of life, is presented. The prototypes are made from a new bio-based nonwoven material co-developed with Dr Hjalmar Granberg at RISE Research Institute of Sweden & University of the Arts London. The composition of the paper is a mix of cellulose pulp and bio-based PLA fibre, making the garment 100% biodegradable or recyclable in existing paper recycling systems. Working closely with industry partner Filippa K made commercial testing possible. By implementing research into existing value chains, Filippa K was able to produce a coat that is 100% recycled and recyclable, as well as a concept dress that is 100% bio-based and biodegradable. The garments are a part of Filippa K’s Front Runner series and will be available in selected stores on November 26th. With a focus on products’ length of use and maximizing fabric value retention, Filippa K are dedicated to becoming fully circular by 2030. To validate the design research presented, a Life Cycle Assessment was performed on the prototypes. 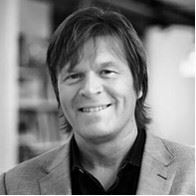 Mistra Future Fashion affiliated Dr. Greg Peters, Chalmers University of Technology, together with additional LCA Researchers at RISE, conclude that the production of fibres and fabrics are the main processes impacting the environment during the garment life cycles. Therefore, to extend the lifetime of existing garments and design for re-use, as done in the Service Shirt, is indeed the superior alternative compared to a reference garment. • Place effort into finding ways to reduce the weight of garments without reducing their lifespan. • Look for ways to enhance the value of garments at the point when users may think of discarding them. Mistra Future Fashion is a cross-disciplinary research program holding a unique system perspective operating across the entire fashion value chain. The program vision is to close the loop and enable a systemic change by providing research results and facilitate industry implementation. Mistra Future Fashion is initiated and primarily funded by Mistra Foundation and stretches over eight years, from 2011 to 2019. The program is hosted by RISE, Research Institute of Sweden in collaboration with 15 research partners and more than 50 industry partners. This Centre for Circular Design (CCD) is based at University of the Arts London which offers world-leading research and an extensive range of courses in art, design, fashion, communication and performing arts. Its graduates go on to work in and shape the creative industries worldwide. CCD is focused on practice-led and collaborative research to accelerate the transition towards designing for a circular future where materials are designed, produced, used and recovered in radical new ways. By bringing together academic and industry research CCD explores circular design approaches coupled with emerging technology, systems design, materials, tools, user behaviour and social innovation. Filippa K rose from the kitchen table of its founder Filippa Knutsson in 1993 to a defining brand in Scandinavian fashion. 25 years on, we continue to design ready-to-wear clothing and accessories for women and men founded on the philosophy of style, simplicity and quality. Our updated classics are created with warm minimalism and the modern lifestyle in mind. Committed to an entirely sustainable collection by 2030, we encouraging mindful consumption and minimising environmental impact.